Donald Stevens was born on November 19, 1938, in Illinois. He entered the U.S. Air Force Academy on July 11, 1956, and was commissioned a 2d Lt in the U.S. Air Force on June 8, 1960. Lt Stevens next completed Undergraduate Pilot Training and was awarded his pilot wings at Vance AFB, Oklahoma, in September 1961, followed by Fighter Interceptor Training and F-101B Voodoo Interceptor training from December 1961 to January 1963. His first assignment was as an F-101B pilot and Life Support Officer with the 75th Fighter-Interceptor Squadron at Dow AFB, Maine, from February 1963 to June 1966, and he then completed O-1 Bird Dog Forward Air Controller (FAC) training from June to November 1966. Capt Stevens next served as an O-1 and O-2 Milirole FAC with the 20th Tactical Air Support Squadron at DaNang AB, South Vietnam from November 1966 to November 1967, during which time he flew 321 combat missions. 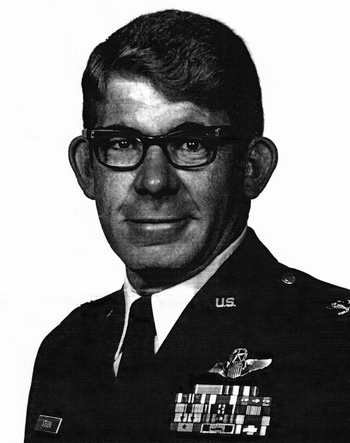 After returning to the United States, he received an Air Force Institute of Technology assignment to complete his Masters Degree in Mathematics at Michigan State University from January 1968 to June 1969, followed by service as a Mathematics Instructor at the U.S. Air Force Academy from June 1969 to June 1971. Maj Stevens then received another Air Force Institute of Technology assignment to complete his PhD in Mathematics at Arizona State University. He attended Air War College at Maxwell AFB, Alabama, from August 1977 to May 1978, and then remained on at the college as part of the faculty until May 1980. Col Stevens' next assignment was as Department Head of the Department of Operations Sciences in the School of Engineering with the Air Force Institute of Technology at Wright-Patterson AFB, Ohio, from May 1980 to June 1983, followed by service on the staff of the Air University at Maxwell AFB from June 1983 until his retirement from the Air Force on September 1, 1986. 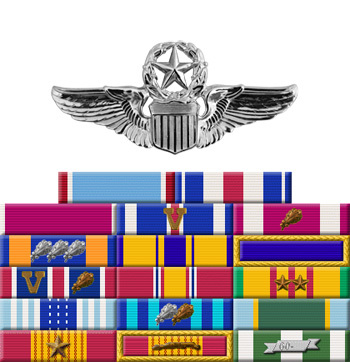 Captain Donald D. Stevens distinguished himself by extraordinary heroism in connection with military operations against an opposing armed force as a Forward Air Controller in Southeast Asia on 19 August 1967. On that date, Captain Stevens braved continuous hostile automatic weapons and antiaircraft fire for more than eight hours to rescue a wounded American soldier. Captain Stevens made repeated low passes directly into the heavy hostile fire to locate the wounded man and to direct medical evacuation helicopters to the area. Despite sustaining a hit in his unarmed observation aircraft, Captain Stevens persevered in his rescue attempts and finally succeeded in securing the safe extraction of the wounded soldier and the reaction team that had gone to help him. Through his extraordinary heroism, superb airmanship, and aggressiveness, Captain Stevens has reflected the highest credit upon himself and the United States Air Force.